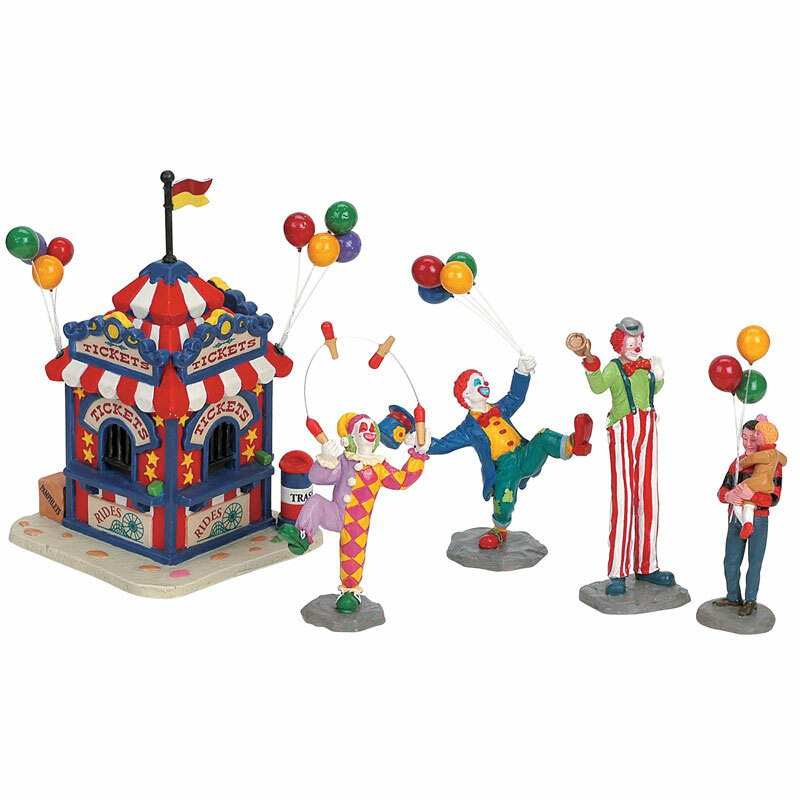 Lemax Carnival Ticket Booth Table Accent (Set of 5) depicts a traditional Circus ticket booth with a group of fun loving clowns parading to promote ticket sales! Lemax Carnival Ticket Booth is suitably placed in and amongst a seasonal Lemax village miniature carnival scene. A popular Lemax Village collectable table piece which joined the Lemax collection in 2006. Carnival Ticket Booth offers a delightful 5-piece self standing hand painted polyresin figurines set on individual bases to compliment your seasonal Lemax Christmas Village.